Whether you call the Swagtron Hoverboard or a self-balancing scooter, it’s an advancement in one-person rider technology. The technology leader has reinvented the Swagtron as Hoverboard, but more than just the name has changed. 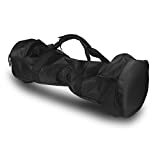 Swagtron Hoverboard is a reimagined and redesigned product that’s getting a lot of buzz, in a large part because it’s redefining Hoverboard safety standards. It’s the first self-balancing scooter in the world to be awarded safety certification from the trusted global Underwriters Laboratory (UL) science group. 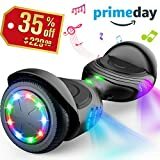 Let’s see how Swagtron Hoverboard eases our minds over electrical safety issues, while still keeping the product the most fun you can have on two wheels. When you’re out doing your thing, Swagtron’s advanced Sentry-Shield system protects your body from motor heat. How do they do that? Now your power package is safely tucked away, guarded by aluminum alloy housing. Inside that is your lithium-ion battery pack, a longer-lasting type of battery. When you return home and it’s time to recharge, that takes only an hour. During the process, Sentry-Shield also protects the battery from overcharging and overheating. And that is what has earned the Sentry-Shield system the UL’s 2272 certification for self-balancing scooters, as to electrical shock and fire hazards. SwagTron’s certification covers the electrical drive train, including the rechargeable battery and charger system. The certification even comes with a cool UL holographic label, which is a familiar seal of safety that can put parents’ minds at ease when they spot it. 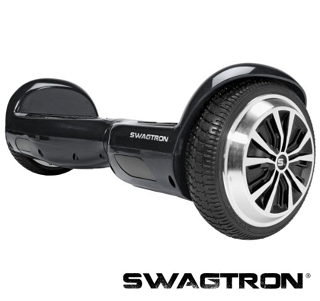 Swagtron comes with two rider modes – one is for new riders, and that’s the one you probably want to start with. The other mode is for more advanced riders. Save that mode for when you’ve mastered your moves. 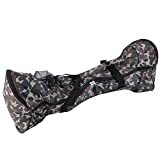 Even for a novice, stepping on the non-slip foot pads is reassuring, but you may want to start your learning on a carpeted area in your house to soften any learning spills. Remember, the UL certification is for electrical safety, and doesn’t protect you from falls. As you master shifting your weight to move and control turns on the Swagtron, you’ll be ready for exploring the outdoors. 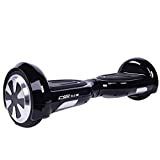 Take the Hoverboard to a level area at first, perhaps a park, to further familiarize yourself with its operation in a less challenging environment. Later on, when your skills and your courage have increased, you can take it down your sloping driveway and onto the sidewalk, but save that venture until you’re very comfortable with riding. If you get caught out in fading sunlight, you’ll appreciate the LED headlights to make your way home. You may notice the increased motor and gear stability, which adds to the Swagtron’s traction and control. 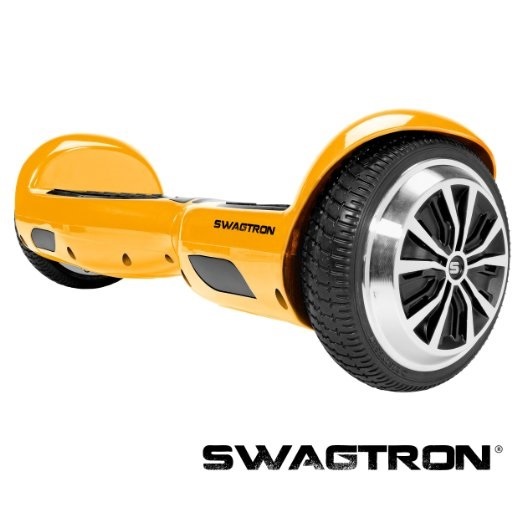 Swagtron comes with aluminum wheels and rubber tires, which grip the riding surfaces. Also, you tricksters can appreciate it’s open wheels, which allow great wheel clearance for any special moves you want to make, taking advantage of that zero degree turning radius. What if it starts to sprinkle or rain when you’re out and about? The hard ABS body and silicone coated equipment resists moisture as well as heat, so the Swagtron will be protected, but you still might want your own rain gear. When you pick up the Swagtron Hoverboard, you’ll notice that it’s lightweight to carry at only 22 ½ pounds (9.9 kgs). It is a compact 23” wide by 4” high by 7” deep. It can carry a rider at a speed of 2-8 mph for up to 20 miles per charge. However, that depends on the rider’s weight, which is a 220 pound (100 kg) maximum and 44 pound (20 kg) minimum. Lighter riders can go faster and farther, while heavier ones travel more slowly and for shorter distances on a charge. One of the fun things about ordering is picking out the color that best suits you. One of those just might be your favorite, or the one that you feel that will make you stand out in the crowd.